In some countries, hate speech is not a legal term, but in some, it is constitutionally protected. In some countries, a victim of hate speech may seek redress under civil law, criminal law or both. The issue of hate speech in some countries has sparked debates over freedom of speech, hate speech and hate speech legislation, with opponents saying the term is used to silence critics of the government or political party in power. In the United States (US), hate speech is unregulated, but in the United Kingdom (UK), for example, there are laws against it and expressions of hatred toward someone on account of that person’s colour, race, disability, nationality (including citizenship), ethnic or national origin, religion or sexual orientation is forbidden. Any communication that is threatening or abusive and is intended to harass, alarm or distress someone is forbidden and penalties for hate speech include a maximum sentence of seven years imprisonment or a fine or both. The Criminal Justice and Public Order Act 1994 inserted Section 4A into the Public Order Act 1986, which prohibits anyone from causing alarm or distress and a person guilty of an offence under this section is liable on summary conviction to imprisonment for a term not exceeding six months or to a fine not exceeding level 5 on the standard scale or to both. Here in Nigeria, the introduction of a Bill on Hate Speech in the senate by Senator Aliyu Sabi Abdullahi (APC Niger) is not only generating controversy, but also uniting critics of the Bill in different spheres of life. 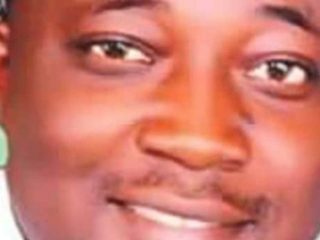 The Bill, which has passed Second Reading, stipulates death by hanging for only those found guilty of any form of hate speech that results in the death of another person after judicial processes in a Federal High Court. This is contrary to widely held belief that the Bill prescribes death by hanging for any person that makes hate speech. He dismissed fears that such law could be used by politicians to victimise their critics or opponents, saying it in intended to serve as a preventive measure to deaths arising from violence started by hate speeches. The Bill seeks the establishment of an Independent National Commission for Hate Speeches to enforce hate speech laws across the country and ensure the “elimination” of hate speech. In addition: “A person who uses, publishes, presents, produces, plays, provides, distributes and/or directs the performance of any material, written and/or visual, which is threatening, abusive or insulting or involves the use of threatening, abusive or insulting words or behaviour” commits an offence. “A person who subjects another to harassment on the basis of ethnicity for the purposes of this section where, on ethnic grounds, he unjustifiably engages in a conduct which has the purpose or effect of (a) violating that other person’s dignity or (b) creating an intimidating, hostile, degrading, humiliating or offensive environment for the person subjected to the harassment. “Conduct shall be regarded as having the effect specified in subsection (1) (a) or (b) of this section if, having regard to all the circumstances, including in particular the perception of that other person, it should reasonably be considered as having that effect. “The National Commission for Hate Speeches shall be headed by an executive chairperson, who would be appointed by the president on recommendation of the National Council of State, subject to the confirmation of at least two-third majority of the National Assembly. “The commission shall discourage persons, institutions, political parties and associations from advocating or promoting discrimination or discriminatory practices through the use of hate speeches; promote tolerance, understanding and acceptance of diversity in all aspects of national life and encourage full participation by all ethnic communities in the social, economic, cultural and political life of other communities. “It shall also plan, supervise, coordinate and promote educational and training programmes to create public awareness, support and advancement of peace and harmony among ethnic communities and racial groups. Abdullahi said his decision to sponsor the Bill was informed by cases of religious and ethnic violence experienced in the past years. There was an earlier attempt to regulate the social media through a Bill in the same senate, which was later stepped down following public uproar. The present administration has also indicted plans to take tougher actions against hate speech due to inherent abuse and indecent comments, especially on the social media. Last year, Minister of Interior, Gen. Abdulrahman Dambazau, announced a bill against hate speech had been submitted to the Justice ministry for onward transmission to the National Assembly. 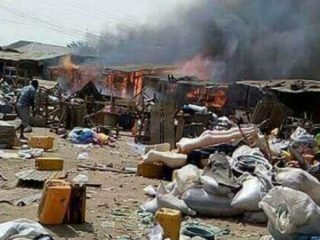 But during the week, Minister of Information and Culture, Lai Mohammed, said hate speech offenders would be punished in accordance with the 2011 Anti-Terrorism Act. Mohammed advised media houses in the country against offering their platforms for use to communicate hate speech, warning that if not checked, hate speech could be the precursor of violence and genocide. He said the fastest way to nip the dangers of hate speech in the bud was for journalists to outrightly turn their back to the trend. “The fact that the media takes this issue seriously is very encouraging, because, in most cases, the media, wittingly or unwittingly, provides the platform for the dissemination of hate speech. 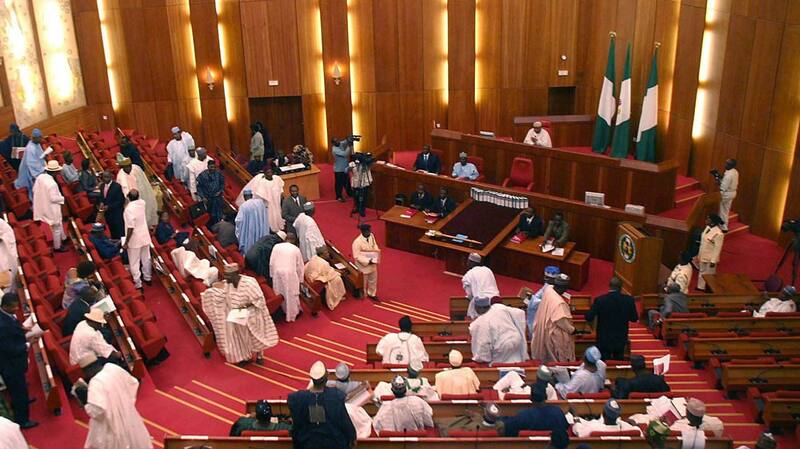 The Nigerian Union of Journalists (NUJ) has cautioned the Senate against passing the Bill into law. In a statement by its National Secretary, Shuaibu Leman, the body said while the union shares the concerns being expressed by the sponsor of the bill, it is pertinent to caution against prescribing capital punishment for hate speech, principally because it could be used indiscriminately against perceived political opponents by unscrupulous members of the political elite. “It is instructive to note that citizens are entitled to free speech, even if they hold offensive and hurtful opinions. A member of the House of Representatives, Mr. Johnson Oghuma, has expressed opposition to ongoing moves to slam the death penalty on perpetrators of hate speech in the country. Speaking to The Guardian in Abuja, he argued that the offence is not comparable to the more heinous offence of murder, armed robbery and kidnapping responsible for the loss of lives and property of hapless Nigerians. He assured that he would oppose the Bill whenever it is brought to the House of Representatives for consideration. 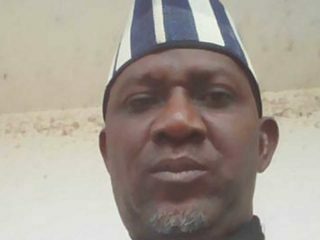 The lawmaker who represents Etsako Federal constituency of Edo State believed hate speech is a creation of the elites, who are fond of manipulating the psyche of Nigerians. Similarly, Femi Falana (SAN) in his article titled: ‘Nigeria has enough laws to curb hate speeches,’ posited that what is lacking is the political will to arrest and prosecute those who contravene the provisions of the relevant laws that exist in the country. He maintained that before further energies and resources are dissipated by the government on the enactment of a new hate speech law, it is pertinent to point out that the country has enough laws to deal with the menace, hence the nation does not need to enact a new law against hate speeches. Falana suggested that authorities of the Federal and State government should direct the Attorney General of the Federation and the Attorneys-General of the various states to collaborate with the Police with a view to enforcing the provisions of all the relevant laws which have criminalized hate speeches including offensive statements published in the social media. “For the avoidance of doubt, section 4 of the Police Act has empowered the Nigeria Police Force to arrest and prosecute criminal suspects in the country. However, Section 47 (1) of the CyberCrimes (Prohibition, Prevention ETC) Act provides that law enforcement agencies shall have power to prosecute offences under this Act while section 58 thereof defines law enforcement agencies to include “any agency for the time being responsible for the implementation and enforcement of the provisions of this Act.” As the Nigerian Army is not one of the law enforcement agencies envisaged by the Act and other penal laws, it should not be permitted to enforce any of the laws against hate speeches,” he said. In the same vein, a media watch group, International Press Centre (IPC) warned the Senate against going ahead with the passage of the bill. The Centre in a statement signed by its Chairman, Lanre Arogundade, advised that the National Assembly convene a meeting with stakeholders to determine what could be regarded as hate speech. He also expressed fear that the passage of the bill would pose a threat to freedom of the press and safety of journalists in the country. Some lawyers, including Professor Itse Sagay, SAN, Chief Robert Clarke, SAN, Tayo Oyetibo, Babatunde Fashanu, SAN, Chief Sebastine Hon and Kayode Ajulo among others have also expressed concern over what they described as extreme punishment for offenders. Hon argued that capital punishment is high-handed. He observed that in line with the provisions of the penal and criminal codes of other countries, death penalty, as proposed by the National Assembly should be opposed by all Nigerians. “I do not, with respect, support the anti-hate speech Bill recently passed by the National Assembly, especially the punishment proposed for offenders. Stipulating capital punishment for hate speech is, with respect, extremely harsh and high-handed. Sagay, Chairman of Presidential Advisory Committee on Anti-Corruption, PACAC, said the whole thing was extremist. How can they put death penalty for hate speech? How do you determine what is hate speech? How many people are you going to kill? It is a joke. It won’t pass. What Nigerians have always done and which we want you people (media) to do is to bring it to the public attention and people will put it on the social media, but I didn’t know people would take it seriously. I don’t believe that. I don’t think it has reached to the level of death penalty. I just believe that somebody is raising a controversy to make himself popular, but how can they pass hate speech and say people should be put to death if you are convicted of hate speech? I saw the news on television, but I must confess that I have not taken it to worth the time of my attention. If you want to penalise hate speech, I think that is fine, all over the world now that is being done. But if you ask me, I will say they should be talking about how many years of imprisonment. That is the best, but by the time you are saying death penalty, forget it, I didn’t bother to give it my time anymore. It is silly. Which judge will convict anybody that hate speech is a capital offence? Anybody that has value for life will not propose that. Seriously it shows that whoever is being supportive of the bill doesn’t attach value to life. That is the way I see it. Number one thing is what is hate speech? That is the problem, how to defined it. If I say Yoruba people are the most stupid people all they know is to make juju or whatever, is that hate speech? If I say Igbo people are this or that, is that hate speech? Then I put it in the papers and I say Northerners are lazy people they are just parasite is that hate speech? If they find out I actually said that, the next thing is death penalty. There is going to be a serious problem in the definition. What do you mean by saying that somebody will die for hate speech? Murder is already in the books. There must be an intention to kill. If you are weak against it and somebody decides to lynch somebody, how am I responsible for that then you now convict me of murder, so what have I done? What is the actus reus on my part that led to that person’s death? Was it my intention when I made that speech? Did I target the victim? You can criminalise and punish hate speech, but by the time you say because someone died through my speech, which court is going to convict anybody in that kind of situation? Even the law covers incitement. If you incite people to go and do something, you will be convicted of it. But even if you go and incite people and they go and kill, and you are not part of it, they will say it is conspiracy then you convict the person or punish him or something else not murder. You can criminalise hate speech because I know that some speeches are serious. But making provision for death penalty amounts to curtailing freedom of speech. So you need a serious conceptualization and definition because the person will say don’t I have the customary right to say whatever I want? That right is not absolute, but the impression you are going to create from it is a serious one. For death penalty on hate speech, you have no value for life. Has the hate speech led to a war? By the time you are saying somebody’s speech is making people to do something then you are getting on the realm of incitement, which again is also covered by the law. I can’t conclude on that because I have not read it fully. You have to understand the essence of hate speech particularly to the extent of damage it can cause in a nation, when you look at the African countries. Let’s use Rwanda for an example, imagine the people that died there in genocide. It started from hate speech, imagine the number of people that will die. Once you see that there is justification in taking every harsh measure to ensure that lives are not wasted because of such instigations. The law should take drastic action to ensure that people’s lives are not wasted because of the people who indulge in this act for the purpose of their selfish aims. When you look at the damage it will cost, one singular statement made by somebody irresponsibly or mischievously just to ensure that he creates disunity among the people can destabilize the nation. There are genuine statements where you have facts that back up those statements and you can defend it, just like when somebody made a statement, which is damaging to one’s image, then you have a justification that says that it is what happened. That’s a statement of proof. But most of the things that happen is that people engage in a talk for the purpose of just creating disunity to others. If that is a situation, why should we allow people to get away with it? So if the statement is justified, the person who made the statement can say, I am saying it because it is the truth. The constitution guarantee the right of speech but it also guarantees everybody security to his life. The right to speech is not to cause damage to the society, otherwise, they will make nonsense of other people’s rights. In some jurisdictions, people are moving away from death sentences to a more civilized way of punishing offenders. Most jurisdictions have abolished death sentences. So for this recommendation for hate speech bill, I think they should find better ways of dealing with people involved in hate speeches. From the angle of constitutionalism in terms of freedom of speech, and the right to communicate, although that is not an absolute right to be curtailed in given circumstances but whether this kind of law is law that is reasonably justifiable in a democracy in Nigeria, is one issue the court will have to battle with. This kind of law that is punishable with death, I think takes us back. You could look at it in terms of media operation, there are ways of dealing with media houses that sponsor or protect hate speeches. You could actually punish the offender without sentencing the guy who is publishing it to death. You could create a file that can cripple that media organization. You could even say those people behind it are disqualified. The Current Hate Speech Bill will jeopardize the exercise of legitimate speech because of its overly broad language and the inherent capacity it offers a government to being used as a tool of intimidation, repression and abuse. Security or law enforcement officials may, as we have seen repeatedly in the past, use such laws to muzzle free speech. The Bill says a speech would qualify as a hate speech if it is intended to stir up “ethnic hatred”. There are no bright lines that demarcate the boundaries of what is intended by the maker of a speech or not intended by him or her, and a despotic, authoritarian or desperate government can input any intention to anyone in order to silence them. 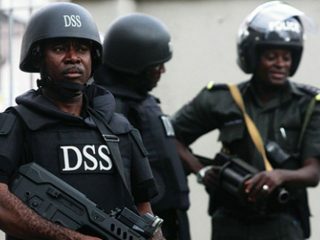 A journalist was held for several days by the DSS for example because they wanted him to disclose the source of his information. In this age and civilization, a government that would detain a journalist without trial for several days because it wants to know the source of information would hardly hesitate to allege that a publication exposing government’s under-the-table deals are hate speech calculated to stir up “ethnic hatred”. No one should have to think whether the intentions of a speech may be misconstrued in a democratic government, and prior restraints on speech expressed in the way the Bill has been couched, will, almost certainly, be unconstitutional. Why pass a Bill that will likely be ruled as unconstitutional after it has been used to cause some havoc? The hate speech bill is a threat to Nigeria’s democracy. In America, hate speech is defined as an ill statement against one tribe from another. But in Nigeria, it is sought to be a gag placed on the mouths of citizens from speaking against the politicians and people in power. To a country where the lives of her citizens should matter, even the lives of offenders, death sentence for a civil offence under the hate speech bill is overreaching. Thus, death sentence under the contentious and undemocratic hate speech bill is in total contravention of the freedom of speech as enshrined in our Constitution, which is the highest law of the land.